It’s FIN-ished! 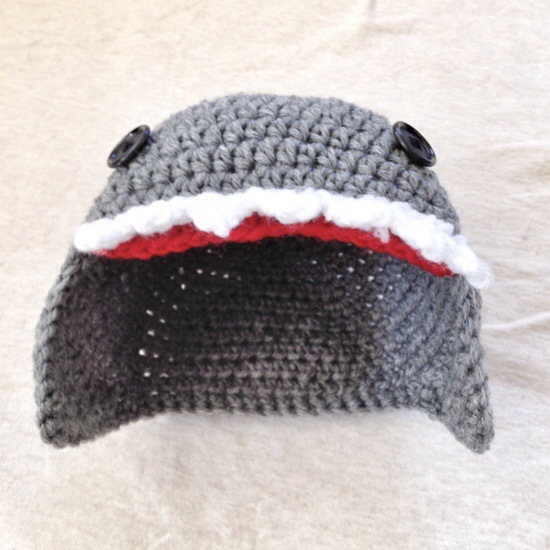 The shark hat! Because I half double crocheted it instead of double, it’s more for 0-3 months than the 12-16 months I was aiming for. But as Stiches ‘n’ Scraps says, it’s modification not error! Love that! And she’s right. I immediately started another one to go by the pattern but honestly I like it better in the half double crochet. I think it’s a tighter weave and presents better. I might try a different stitch all together to see what happens! Like the one that looks like knitting but isn’t. You know the one I mean? 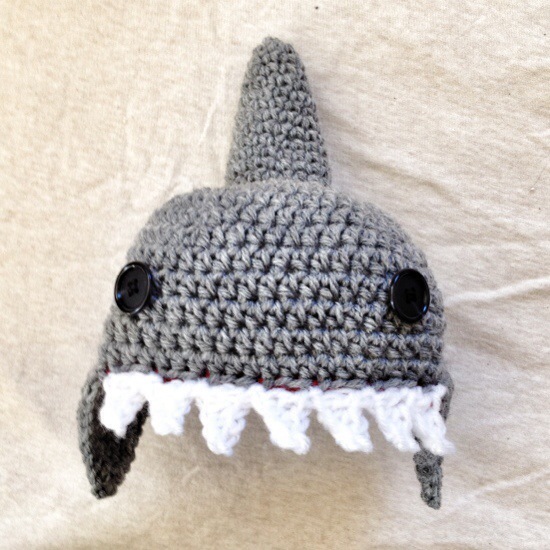 This entry was posted in Uncategorized and tagged arts & crafts, crafts, crochet, cute, handmade, hat, kid hat, shark. Bookmark the permalink. I know a few adult men who would wear this hat. Love it!